As a lifelong bird watcher, there are many places I would recommend to a novice who wants to see more spectacular and exotic breeds. But if I were to point out a place that every American bird watcher should pilgrimage to, I’d point them to a place just in their backyards (figuratively speaking, of course): it would be the Smokies. The incredible range of elevation in the area attracts cold natured birds in the barren peaks, and birds who seek warmth can find comfort in the lush lowlands. These mountains have an unheard of diversity of birds, ranging from the common − yet marvelous nonetheless − to rarer endangered species. Here are just a few memorable breeds to watch for the next time you and your family are hiking in one of America’s greatest gift to bird watchers, the Great Smoky Mountains. 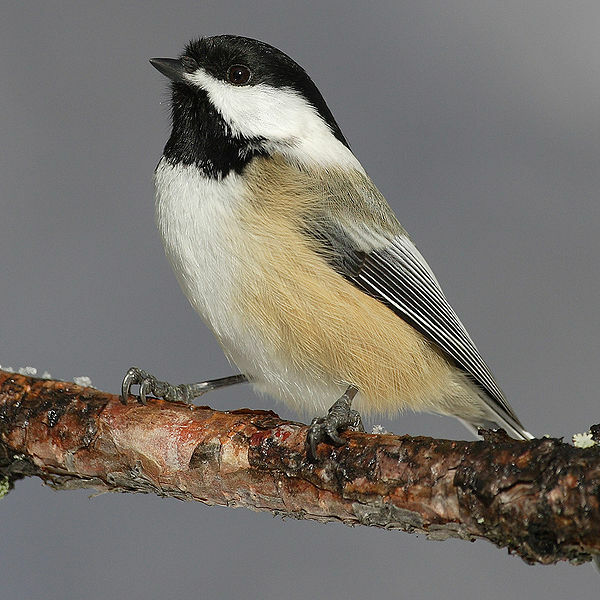 This songbird is an adaptable and fearless type, and can be found in both warm and colder climes. That being said, they’re a year round resident of the Smokies. They’re quicker than most to learn where to find food, which is why they often linger around bird feeders. They are even bold enough to eat right out of your hand, and feeding birds is always an unforgettable experience for birdwatchers. 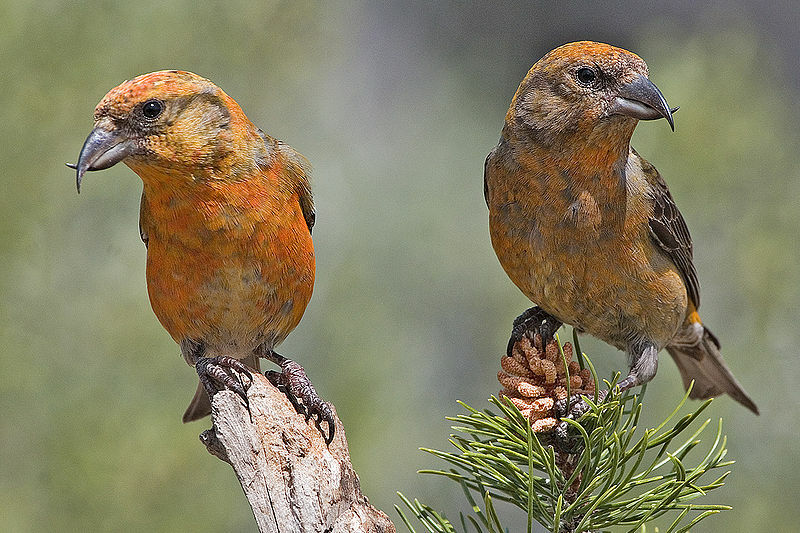 As their name suggests, the Red Crossbill have a bill that crosses over at the end. This isn’t a deformity, but a clever trait with which they can pull seeds out of fruit or cones. 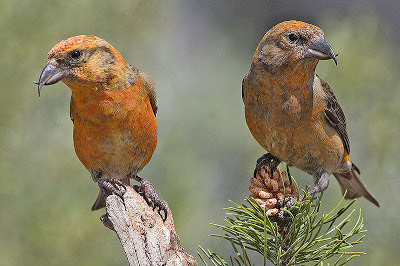 And despite their name, they can come in a variety of striking colors; males tend to be burned orange or red and females are usually green or yellow. These birds are also year-round, typically only migrating during particularly severe cold seasons or food shortages. Keep an eye at nearby Douglas firs to find these distinctive birds. 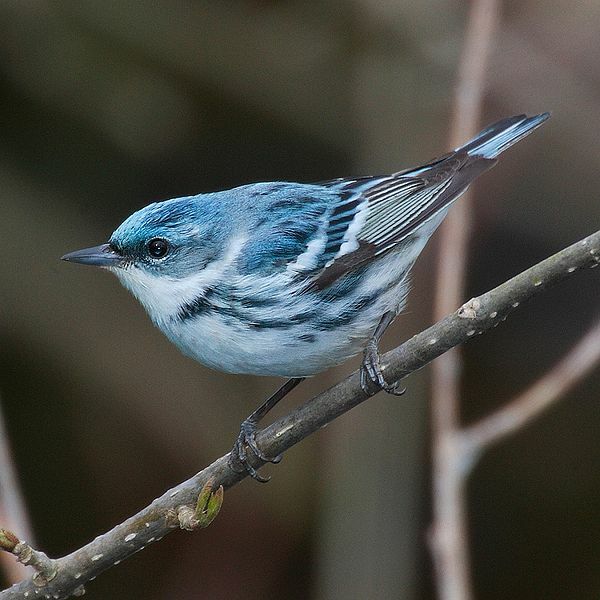 This tiny songbird is one of the most visually striking that can be found in the Smokies. Their vibrant blue colors can vary between a teal and a gray, but they’re unmistakable upon sight. They have pale blue breasts and are covered with black stripes. They favor warmer zones, and will migrate elsewhere during colder seasons. 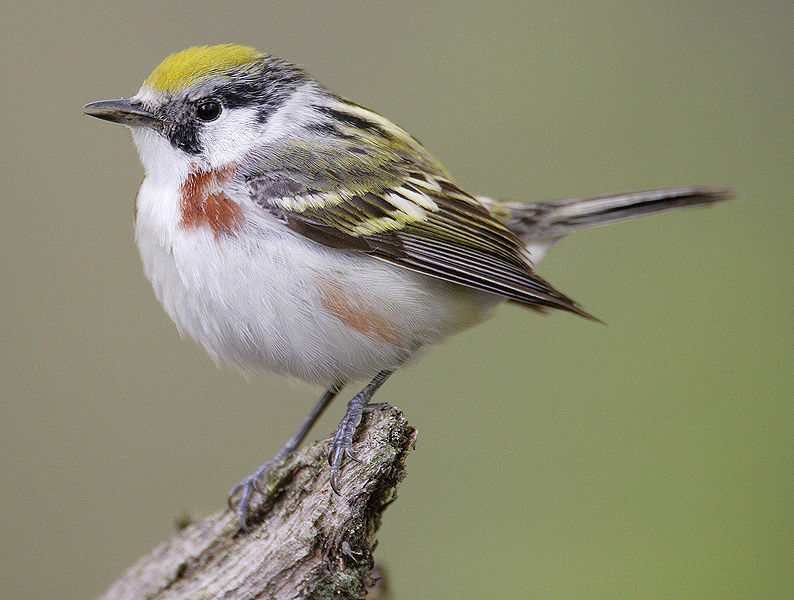 And unfortunately, they’ve recently become endangered; they are the fastest vanishing migrant neotropical songbird. This woodpecker is the most endangered bird in all of the Smokies, and has actually become extinct in many states it formerly dwelled. This decline was so alarming that conservation efforts were made even before the Endangered Species Act came in the 70s. Fortunately, a good number of the few that remain have made the Smokies their home. They’re largely black and gray, though if you manage to look very closely, you’ll sometimes be able to find that a small red streak surrounds their black caps, which is how their name came to be. Instantly recognizable and always extraordinary, the Great Horned Owl is perhaps one of the most iconic birds of the Smokies. Their “horns” (which are truly large pointed feathers) and piercing yellow eyes lend towards the notion that they’re a species with an intense expression. 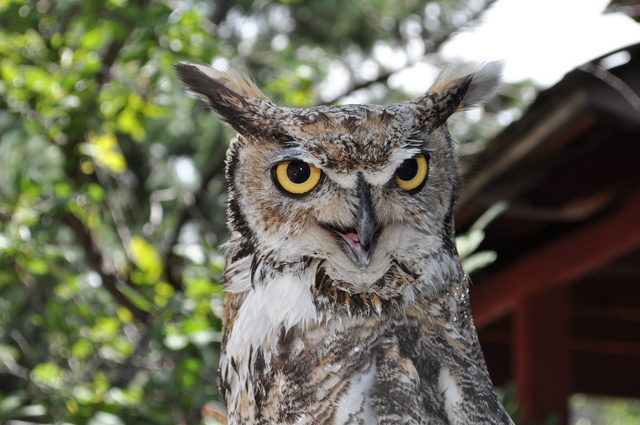 They’re one of the heaviest varieties of owls in the United States, only second to the ever popular Snowy Owl. And given that they’re another adaptable variety, they’re permanent residents of the Great Smokies. And that’s good news for tourists who want to behold one of these incredible birds. Ernie Allison is a part-time writer of nature and a full-time grandfather who has been birdwatching for decades. When he isn’t admiring birds, he enjoys spending time with his grandchildren, camping, and fishing. The Great Smoky Mountains Association recently published this short video highlighting the beautiful blooms of mountain laurel. There are many locations throughout the park to see them, but one of the best places is at Spence Field above Cades Cove. 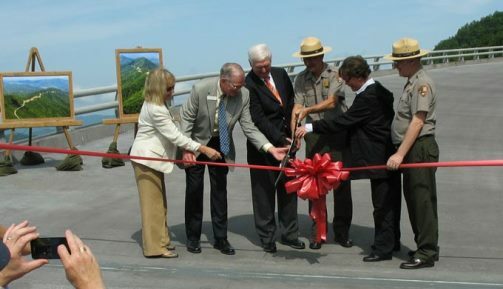 Great Smoky Mountains National Park celebrated the completion of Bridge 2 on the Foothills Parkway near Wears Valley, TN with a ribbon cutting event on Monday, June 24. The completion of Bridge 2 marks a significant milestone bringing the park one step closer towards finishing the “missing link,” a 1.65-mile section of the Parkway between Walland and Wears Valley which has been under construction for many years. Congressman John Duncan, representatives from Congressman Phil Roe and Senator Lamar Alexander, members of the Federal Highways Administration, local government and tourism officials, and government contractors joined National Park Service officials at the head of the 800-foot bridge. After the short celebration ceremony, guests were able to walk the length of the bridge to take in the panoramic views of Great Smoky Mountains National Park. The Foothills Parkway was authorized by Congress in 1944 as a scenic parkway intended to provide picturesque viewing of the Great Smoky Mountains as well as disperse traffic from the heavily used transportation corridors in East Tennessee. Two sections of the Parkway are open extending from Chilhowee, TN to Walland, TN and from Cosby, TN to I-40 and have been open to the public since 1968. The 16 miles of road between Walland, TN and Wears Valley, TN includes “the missing link” and has been partially completed, but never open to the public to use as a true parkway. The completion of the “missing link” is currently underway as a “multiple bridges project” funded through Title 23, the American Recovery and Reinvestment Act, the Federal Lands Transportation Program, and multiple Federal Highways Appropriations awarded at $48,438,000. The final stage of the project will complete the paving and other miscellaneous work needed to open the entire 16 miles of Parkway between Walland and Wears Valley, but remains unfunded at this time. The park aims to have the final paving project completed by the Centennial of the National Park Service in 2016. There are lots fun things to do in the Smokies beyond hiking and backpacking, but you might not have heard about them. Did you know, for instance, that there are over ninety historic structures, such as houses, churches, barns and grist mills that you can visit? Cades Cove, Oconaluftee, Cataloochee and the Roaring Fork Nature Trail are among the best areas for viewing the structures. Here’s a list of fun activities for when you tire of hiking and need a break. If you like riding horses, there are several stables with horses and saddles for rent and hundreds of miles of trails to ride. Guided trips are available, lasting from 45-minutes up to several hours, and the rate is generally about $30 per hour. Three of the stables are in Tennessee, and the other is in North Carolina. If you like hay rides, they are also available at Cades Cove. Carriage and wagon rides are also available near Cherokee, NC and Cades Cove. If you have your own horse or horses, you may bring them to the park, and there are over 500 miles of trails they can walk on. Horses can also be ridden on country trails, but there may be seasonal hazards to watch out for, such as overflowing streams and washed-out parts of trails. Kayaking and canoeing are also fun options if you’re in the Smokies. Fontana Lake is the most common destination, and there are commercial operators there who rent equipment and provide guidance on where to go and what to see. In Nantahala National Forest there are paddle sites in the Eagle/Hazel Creek, Chambers/Forney Creek areas. Spring is when many kayakers hit the streams due to the extra water flows from seasonal rains. Though the powerful streams are exciting and challenging, they can also be very dangerous. Fishing is also a popular activity in the park because of its abundance of water: there are over 2,000 miles of streams within its boundaries. Fishing is allowed in all of them with the exception of the Lynn Camp Prong upstream of its confluence with Thunderhead Prong. You can fish year-round, but you will need a license to do so. There is a five fish limit for smallmouth bass, brook, rainbow or brown trout in combination, meaning no more than five total for each of those species. But the limit for rock bass is 20. The minimum size for the first fish mentioned is seven inches, but there is no minimum for rock bass. It’s possible to bicycle within the park, if you bring your own bike or rent one from the Cades Cove Campground Store. There’s a popular eleven-mile ride around Cades Cove, but the park receives so many motorists that you should be very careful while riding a bike there. From early May until late September each year, the loop road is closed to motor vehicle traffic on Wednesday and Saturday mornings until 10:00 a.m. to allow bicyclists and pedestrians to enjoy the cove. Unfortunately, there aren’t any mountain bike trails inside the park, but there are trails on national forest lands outside the park in the Chattahoochee National Forest, Cherokee National Forest, Nantahala National Forest, Pisgah National Forest, Big South Fork National River & Recreation Area, and the Mount Rogers National Recreation Area. Another popular activity is touring from your car, though the park is heavily trafficked from July 1 to August 15, and the Park Service has advised that motorists should drive before 10 am or after 5pm in order to avoid peak traffic. There are over 380 miles of roads for motorists to drive and many things to see. It may help to purchase booklets to serve as guides for some road trips, such as the Cades Cove Loop Road, Cataloochee Valley, Newfound Gap Road, Roaring Fork Motor Nature Trail, and Upper Tremont Road. Bird-watching is another popular option, due to the large number of wild species throughout the Smokies. 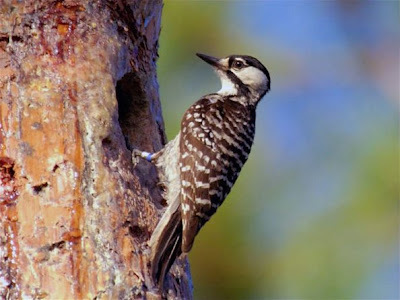 Most birds are located near the southern hardwoods in the lower and middle elevations. In summer in these areas, you might see Wood Thrush, Yellow-throated Vireo, Black-and-white Warbler, Ovenbird, Louisiana Waterthrush, Scarlet Tanager, Indigo Bunting, Chipping Sparrow, Yellow-billed Cuckoo, Acadian Flycatcher and others. The Eastern Screech-Owl, Belted Kingfisher, Carolina Chickadee, Carolina Wren, Song Sparrow, American Goldfinch and Downy Woodpecker are also visible at times here. Hawks, wild turkey, swallows, warblers and even an oriole species can be spotted near or in open fields, though less than one percent of the park is this type of land. If you’re new to bird-watching, it would be a good idea to find a guided tour, so an experienced field guide can help you see wild birds in their natural habitats. These activities can be done both in the park and in the areas around it. 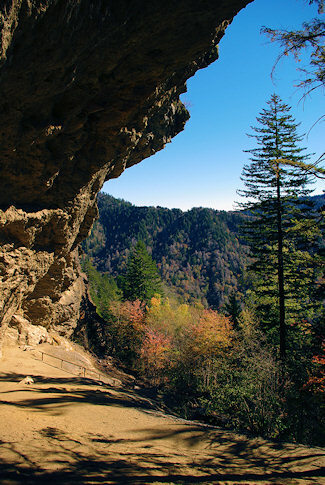 So as you plan your next trip to the Smokies, don’t limit yourself to hiking! Take full advantage of all that this park has to offer. Angie Picardo is a staff writer at NerdWallet, a financial literacy and travel site that helps people get the most from their money, whether it’s budgeting their vacation plans or starting their retirement planning. • Thursday June 13th – Rangers discovered that a 63-year-old woman was stranded on the west side of the West Prong of the Little Pigeon River late in the afternoon. As rescuers assembled, a very strong storm system passed through the park. The woman and rescuers were forced to shelter in place until the storm passed. Rescue swimmers crossed the river, evaluated the woman, and effected a swiftwater rescue. Rangers were assisted by Gatlinburg Fire Department and a park fire management employee. • Thursday June 13th – At about the same time as the above rescue was in progress, the National Weather Service issued a tornado warning for Cosby, Tennessee. Ranger Chuck Hester responded to the Cosby campground, alerted campers of the coming storm, and evacuated 25 to 30 campers to the basement of the maintenance building located in the campground. The storm was later confirmed by the NWS as an EF-1 tornado. Once it passed, they emerged from the basement to find hundreds of trees down in the campground. Many of the occupied sites had extensive damage and at least one tent was destroyed by falling trees. Due to Hester’s quick action, there were no significant injuries reported in the campground. 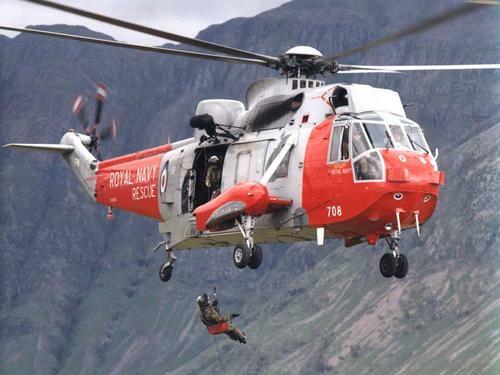 • Thursday June 13th – About an hour after the above, rangers and Swain County Rescue units responded to a report of two juveniles who had overturned their tubes in the fast-moving waters of Deep Creek. District Ranger Joe Pond and Supervisory Ranger Mike Scheid responded. The younger boy was able to escape to the shoreline prior to their arrival, while the older boy continued downstream until he was able to escape to the far side of the creek. A ground team hiked through thick brush for two hours to reach the boy and bring him to safety. • Friday, June 14th – Ranger Kris Laurie was evaluating the Cosby area trails and backcountry campsites for damage caused by the storm the previous day, when she came upon a 53-year-old man on the Low Gap Trail suffering from a compound leg fracture, spinal injury, and broken ribs. The man had been injured by a falling tree on the previous afternoon. A ground rescue team was mobilized with a saw team to clear a path for a litter. At the same time, an Army Air National Guard helicopter was requested through Haywood County and North Carolina EMA. Two park medics were able to hike past the downed trees and began providing advanced medical care while waiting for the rescue teams. An Army Blackhawk arrived on scene and lowered two rescue medics and a litter. The injured hiker was packaged and raised to the helicopter and flown to Mission Hospital in Ashville. • Friday, June 14th – Ranger Todd Roessner made a traffic stop around 1 p.m. for possession of a controlled substance. A subsequent search of the vehicle revealed a large quantity of marijuana and several hundred pills. During the search, the operators attempted to conceal a small handgun under the car. Roessner observed this and immediately took the man to the ground and into custody. He was arrested and a variety of charges are pending. Special Agent Jeff Carlisle provided investigative assistance. • Friday, June 14th – Cades Cove rangers received a report of a man lying unresponsive on the riverbank at the Townsend Wye, a popular swimming area. The 63-year-old man was found face down in the Little River and was pulled to shore by a passing kayaker. When rangers arrived, he was being attended to by Rural Metro ambulance personnel and was breathing spontaneously. The man was transported by ambulance to a waiting Lifestar helicopter and then flown to the University of Tennessee Medical Center in Knoxville. He is expected to make a full recovery. • Friday, June 14th – Park dispatch was notified of a single motorcycle collision with injuries near Newfound Gap around 4:30 p.m. Rangers Les Kwiatkowski and Jason Marsh responded. Gatlinburg EMS transported the operator to Leconte Medical Center. • Friday, June 14th – Dispatch was notified of a vehicle-motorcycle collision with injuries on Newfound Gap Road in the loop around 6:30 p.m. Rangers Les Kwiatkowski and Jason Marsh responded. Gatlinburg EMS transported one of the victims to the Sugarlands Visitor Center, where Lifestar airlifted the patient to the University of Tennessee Medical Center. • Saturday June 15th – Dispatch was notified of a possible car clout in progress at the Laurel Falls parking area just after 3 p.m. A handgun was among the items that were reported as stolen. Ranger Dean Rinehart spotted the suspect vehicle at the Sugarlands Visitor Center a short time later. It soon left the area and headed west on Little River Road. Supervisory Park Ranger Bobby made a high risk stop, during which the driver initially refused to show his hands or follow commands. He was taken into custody with felony charges pending. Several stolen items were retrieved from the vehicle including the stolen handgun. Special Agent Jeff Carlisle provided investigative assistance. Great Smoky Mountains National Park Rangers were involved in the rescue of a 53-year-old male who had been struck by a falling tree during the storm event of Thursday, June 13th. Nathan Lipsom, from Cambridge, MA, was hiking along Low Gap Trail when the storm hit around 4:00 pm and sustained multiple injuries. A Park Backcountry Ranger was patrolling the trails around Cosby and Big Creek on Friday morning to check on hikers, and trail conditions in the area, when he discovered the injured hiker at approximately 11:30 am. The ranger remained with Lipsom while the Park began organizing a rescue operation. A Park Medic was immediately dispatched to the site to further evaluate and stabilize the patient’s condition. Due to the number of downed trees from the storm, the trails around the Cosby and Big Creek areas were impassable for the rescue team. The Park ordered a Blackhawk helicopter from the state of North Carolina with winching capabilities to extricate the patient. Lipsom was then flown to the airport in Asheville, NC, and transported by ground to Mission Hospital. A National Weather Service crew has confirmed an EF-1 tornado in the Cosby area during the June 13th storm. Right now the Gabes Mountain Trail and Snake Den Ridge Trail in Cosby, and the Baxter Creek Trail and the Big Creek Trail in Big Creek remain closed due to scores of downed trees. The trails are impassable by foot or horse. In addition to trail closures, the Park has also closed “B” Loop of Cosby Campground. Backcountry Campsites 29, 34, 36, 37 and 38 are all closed as well. There's no estimate for reopening the trails or the campgrounds at this time. For the most up to date closure information, visit the Park’s website, or call our Backcountry Office at 865-436-1297. Great Smoky Mountains National Park managers report that several trails in Cosby and Big Creek are closed due to extensive damage from the wind and rain during a late afternoon storm on Thursday, June 13th. Other trails in the area may be closed as the park is continuing to assess the damage. The park website states that "a major thunderstorm produced heavy rains, high winds and a possible tornado in portions of Sevier and Cocke Counties in Tennessee" yesterday. Gabes Mountain Trail and Snake Den Ridge Trail in Cosby, and Baxter Creek Trail and the Big Creek Trail in Big Creek have been closed due to scores of downed trees. The trails are impassable by foot or horse. In addition to trail closures, the Park has also closed “B” Loop of Cosby Campground due to damage. There's no estimate for reopening the trails or the campground at this time. Backcountry Campsites 29, 34, 36, 37 and 38 are all closed as well. The storm which hit hardest on the Northeastern most section of the park was the tail end of a storm system which hit the Midwest through much of Thursday. Air monitoring stations at Clingmans Dome and Look Rock recorded over sixty mile per hour winds during the time of the storm. Update: After speaking with park officials I have learned that this program has been undergoing some revamping. Although popular amongst frequent visitors, it's a goal of the park to make this well known to new visitors as well. In addition, GSMNP has recently created a “Hike the Smokies for Families” Challenge which targets younger populations as well. Nearly two years ago the National Park Service released a challenge for citizens visiting Great Smoky Mountains National Park. It was coined the “Hike the Smokies” Challenge. The Challenge rewards individuals based on miles hiked within the park, and sets them apart by tiers. The first tier starts at 100 miles and the tiers rise from there. I recently left my post working with the Department of the Interior and found this challenge created a decent amount of buzz around DOI social media outlets. 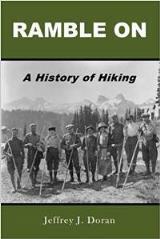 From most opinions I have heard, the Challenge was a rather ingenious way to get goal-oriented individuals to take in the treasures of the Smokies and share their exploits. Must-do Day Hike: Although one of the more popular and busier options, Alum Cave is my day hike of choice. At just short of five miles, this hike has stimuli surrounding throughout the moderate climb. Whether it’s the wildlife of the area, the history, the great views, or the cave (which is technically a massive rock outcropping) there are spectacular sights here year round. Must-do Overnight Camp: Most of my frontcountry camping trips take place with family and friends. It's a fun way to take in day hikes nearby without the extra challenge of backpacking. If I had to choose one campground close to enough activity that would keep me entertained for days, I would choose Deep Creek. Deep Creek boasts three waterfalls within a short hike, which makes this one of the prime campgrounds in the park. Relaxing fishing spots nearby don’t turn me away either. 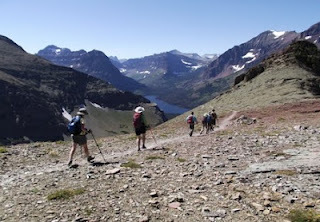 Must-do Backpacking Hike: This is probably the most important “must-do” activity in my book, not to mention it’s also the easiest way to take a chunk out of the Challenge. Big Creek Loop, or “Big” as park frequenters call it, is the perfect way to take in sampling of what the park has to offer. At 16.5 miles it’s a great way to spend a weekend of backpacking. Whether it’s swimming holes or wildlife, there's plenty to get your attention on this trail. When you’re on a trail like this the Challenge would be the last thing on your mind. Must-do Sightseeing: Having a background with the US Fish and Wildlife Service, I would have to choose a wildlife-centric sightseeing adventure. Dating back to the 1800’s thousands of elk naturally roamed the park. Shortly after human encroachment began on the area that is now the park, humans began to take their toll on the species, and the elk were driven to extinction. However, the elk made a reemergence in an experimental phase of reintroduction of the species in the early 2000s. 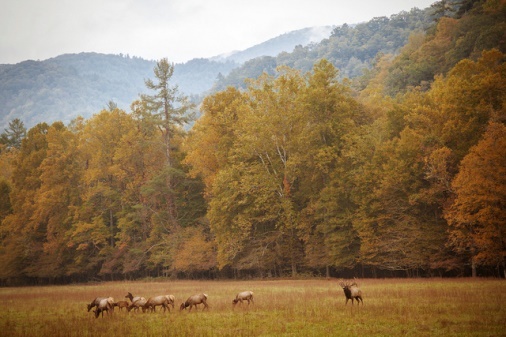 The experiment has now led to an elk population of nearly 140 in North Carolina alone. Therefore, my must-do sightseeing trek would be to spot one of the few elk in the eastern United States. This can be best accomplished in the area near Maggie Valley. Whether you’re into day hikes, backpacking, or even wildlife-viewing, the Challenge is an option for everyone. Next time you’re in Great Smoky Mountains National Park, stop by a Visitors Center and pay just $1 to take part in the program for yourself. Next thing you know you'll be climbing tiers. Christopher DeVore is the founder of Father Nature Outdoors. His company produces outdoors camping products, most notably the award winning FNO Integrated Sleeping Bag. For more information on Mr. DeVore or Father Nature Outdoors check out www.fathernatureoutdoors.com. Father Nature Outdoors - Because Mother Nature can be a pain. A contractor for Great Smoky Mountains National Park will perform striping operations in NC beginning Wednesday, June 12th, through Tuesday, June 18th, along Newfound Gap Road from Newfound Gap south to Cherokee, along with various secondary roads throughout the NC section of the Park. Operations will be completed between 7:00 p.m. and 12:00 a.m. for seven consecutive nights. Weather delays due to rain could cause the project to continue beyond June 18th. During the operation, traffic will be reduced to one lane for short sections. Motorists should use caution when they encounter the road striping operations and pay close attention to traffic control devices along the roadway. For more information about road conditions, please call the park’s Road and Weather Information Line at 865-436-1200. On Saturday, June 15, from 10:00 a.m. to 4:00 p.m., the Mountain Farm Museum in Great Smoky Mountains National Park will come to life as national park staff and volunteers pay tribute to rural women of the past through demonstrations of traditional women's work. This day recognizes the many contributions of the region's rural women by providing an opportunity to experience the past and to actively take part in the traditions of the southern Appalachia through hands-on activities. As part of the celebration, demonstrations among the historic Mountain Home buildings will include hearth cooking, soap making, cornshuck crafts, sewing, and traditional mountain music. Exhibits of artifacts and historic photographs will also provide a glimpse into the many and varied roles of rural women. The Davis-Queen house will be open for visitors to walk through with an audio exhibit featuring the last child born in the house. Participation in outdoor recreation reached a six-year high in 2012 with nearly 50% of Americans ages six and older taking part in at least one of the 43 outdoor activities included in the latest Outdoor Recreation Participation Report. This percentage equates to 141.9 million American outdoor participants, reflecting an increase of nearly a million people compared to 2011. In addition, outdoor participants were more active in 2012 than in past years, taking an average of 87.4 outdoor outings per participant for a total 12.4 billion outings. Overall, more Americans participated in outdoor recreation in 2012 than in any year since The Outdoor Foundation began measuring participation six years ago, perhaps signaling a move toward healthier, more active lifestyles. These findings are part of The Outdoor Foundation's 2013 Outdoor Recreation Participation Topline Report, the leading report tracking American participation trends in outdoor recreation with a focus on youth, young adults, diversity and the future of the outdoors. Participation rates by age remained consistent in most categories from 2011 to 2012 — a testament to the resilience of outdoor participation in uncertain economic times. Participation rates among younger generations remained steady yet are still significantly lower than they were in 2006. Young participants are also less diverse than the nation’s population as a whole. In 2012, 71 percent of youth and young adult participants were non-Hispanic Caucasian – which is not reflective of the nations increasingly diverse population. When averaging the year-to-year changes in participation for specific outdoor activities over the past three years, multisport activities, such as triathlons and adventure racing, have experienced the largest average annual increases in participation. Activities such as downhill skiing, cross-country skiing, camping, RV camping, and rafting have all experienced the largest average annual decreases. * After showing a sharp decline in 2011 versus the prior year, backpacking made a strong return in 2012. The report shows a 23.6% increase in the number of people participating in the outdoor pursuit. The 2012 numbers were also the highest level of participation in the 7-year history of the study. * Interestingly, however, camping (within a 1/4 mile of a vehicle or home) declined 9% when compared to 2011. * Participation in hiking remained relatively flat for 2012. 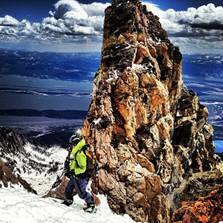 However, the latest figures don't reflect the strong growth in the outdoor pursuit in recent years. Compared to 2006 (the first year of the study), hiking is up 15.7%. Compared to 2010, participation in hiking has increased by 6.3%. The report is based on an online survey of more than 42,000 Americans ages six and older and covers over 40 different activities, making it the largest survey of its kind. To download a complete copy of the 2013 Outdoor Recreation Topline Participation Report, visit The Outdoor Foundation website. A ranger guided hike to a rock shelter along the Oscar Blevins Trail will take place on Saturday, June 22nd, near the Bandy Creek Visitor Center in Big South Fork National River and Recreation Area. On this moderate two mile hike, visitors will learn about plants and animals in the park, hear about park history, and will be able to view rock shelters along the trail. Everyone is welcome. For more information, please call the Bandy Creek Visitor Center at (423) 286-7275. 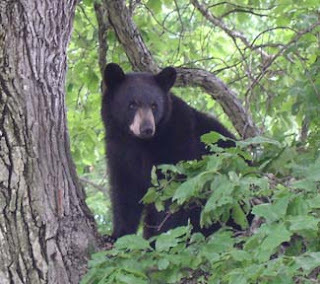 There will be a program on "How to Keep Yourself Safe and the Bears Out of Trouble" at the Big South Fork National River and Recreation Area's Bandy Creek Campground on Saturday, June 15, at 7:00 p.m. (EDT). The evening program will be held at the Bandy Creek campfire circle. People of all ages can learn how to keep safe in bear habitat of Big South Fork and the surrounding area and gain an understanding of how human behavior can impact bear behavior. Visitors will learn what to do if they see a black bear, how to store food at a camp site, and how to "bear-proof" private property. Suunto USA is announcing its #SuuntoAmbitions contest to encourage adventurers of all levels to inspire each other through various outdoor ambitions. As has been the case over the last several years, goats will once again be used as an experimental management tool to help restore the grassy bald corridors on Roan Mountain's western balds. The Grassy Balds on Roan Mountain are important habitats for many rare and endemic species such as Gray's Lily, as well as species at or near the southern ends of their ranges. The western balds are thought to be naturally occurring, predating European settlement, however, these ecosystems have declined in quality and quantity in recent years. The Baatany Goat Project's thesis is that use of grazing animals, such as goats, will restore the plant diversity and growth on these balds. 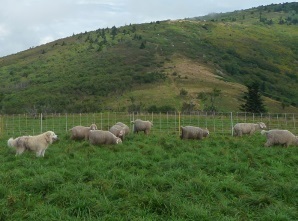 On Wednesday, June 19th, the goats will be herded up to Roan Mountain from Carver's Gap. Project leaders Jamey Donaldson and Todd Eastin will again need volunteers to help herd the goats up to their new home near Jane Bald. Instructions will be provided beforehand, as well as during the walk up to Jane Bald, to handle any stray goats. The goats will remain on the mountain from mid-June to mid-September, while grazing in movable paddocks along the Appalachian Trail between Jane Bald and the turn off for the trail to Grassy Ridge Bald. If you'd like to help, please be at Carver's Gap at 8:30 a.m. on June 19th. Can't make it that day? You can also help by adopting a goat to help fund the program. For more information on the project, please click here. Hey everyone - I wanted to let you know that I received an email yesterday from someone involved with the Appalachian Trail Conservancy. She told me the organization is in much need of volunteers for the first two sessions of the Smokies Wilderness Elite Appalachian Trail Crew (S.W.E.A.T. ), which will be working on the AT in the Smokies this month. Session 1 crews will work from 6/8 - 6/13, while Session 2 crews will work from 6/17 - 6/22. If interested in lending a hand, please visit www.appalachiantrail.org/crews. In recognition of National Trails Day, Secretary of the Interior Sally Jewell and Director of the National Park Service Jonathan B. Jarvis, announced yesterday the designation of 28 trails as national recreation trails, adding almost 650 miles of trails to the National Trails System. 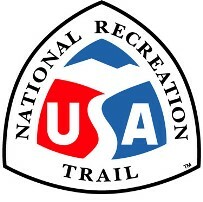 For more information, and to see the complete list of 28 trails that have been designated this year, please click here.